Dubai Creek Golf & Yacht Club invite you to the Dubai Golf Corporate Series sponsored by OMA Emirates. 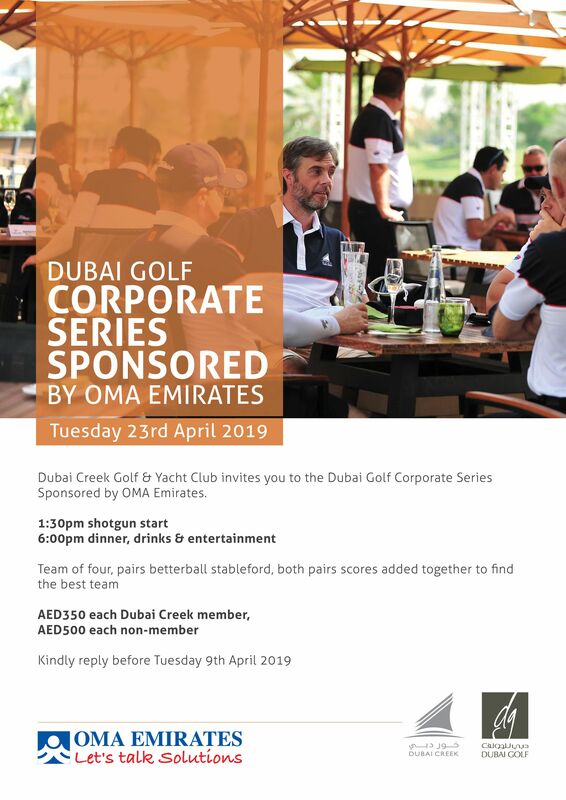 BBG members and guests are invited to join the Dubai Golf Corporate Series sponsored by OMA Emirates on Tuesday, 23rd April. Kindly reply to Michael Major before Tuesday 9th April 2019. For more details please view the flyer below.